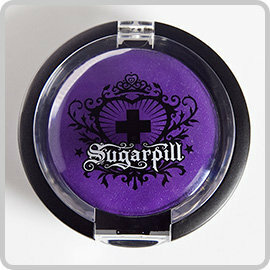 Home sugarpill cosmetics SugarPill Giveaway Winners! I know you all have been patiently waiting for this, but I finally have winners for SugarPill's giveaway on the Goldilux Loose Shadows and Poison Plum Pressed Shadows. Also "count me" does not count as an entry, I'd like to now which product you'd like and why...a little effort goes a long way. There's quite a few of you, so please read through the entire list. Please email me at makeupbyren@yahoo.com by Tuesday at Midnight EST to claim your prize or it will go to someone else. The twitter winners have already been contacted. Thanks for participating! You can check these products out at www.sugarpillshop.com Thanks to Amy for hosting this amazing giveaway. If you didn't win this time around, no worries, I have many more giveaways coming soon! ohh yay! I am never lucky with giveaways and this is the first time I ever really won! *claps* :) Congrats to the other winners! WOW! Is one of the winners me? Cause I really can't believe my good fortune that it is and I don't want to bother you by jumping the gun and spamming you with my email if it's not. But totally crossing my fingers and hoping that it is! Congrats to the winners!! Thanks again Ren and Shrinkle for having the giveaway!! It would mean the world to me if you'd come and follow!